for $500,000. This building was built in 1999 on a lot size of 1.9070 Acre(s). 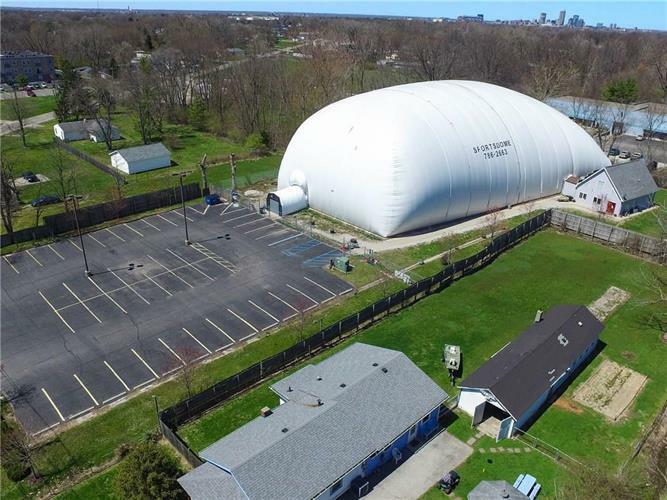 Sportsdome is a 26, 000 sq ft inflatable dome zoned for commercial use. Currently housing a sports complex capable of hosting soccer, baseball, football, and golf year round, this facility could be utilized for a variety of recreational activities that would normally be weather-dependent. Attached clubhouse serves as a maintained entrance for the facility, offering additional storage and restrooms for patrons. Asphalt parking lot has space for more than 40 vehicles. Conveniently located moments from the UIndy campus with easy access to I-65.